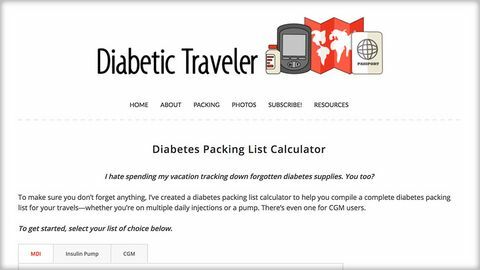 A great resource to help you calculate the supplies you require for your trip - written by a group of people with T1D and experience of backpacking the world. Remember that this is a US site, so healthcare & supply costs are met by insurer rather than NHS, so you will still need to discuss with your diabetes team. I really like the way this site makes you think about how much of each item you need for your trip in a simple to use method. Well done to the creators.